The family offices market in Australia is in its early stages of development. There are only a few family offices that have established themselves as leaders in this field and, based on market forecasts, there will be demand for more. Conservative estimates peg the size of the local family office market at around $200 billion, but with the size of the wealth management market expected to be around $8 trillion by 2035, assets under management. We publish content that matters. We understand that financial advisers want to stay connected with the latest thinking in practice management and stay a step ahead of their competitors. FS Private Wealth is the perfect channel towards achieving these goals. 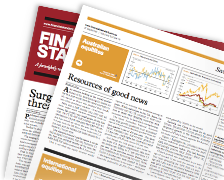 It profiles the country's leading financial advisers, features the latest practice management papers and the latest news affecting the broader financial advice industry. Stay connected. Take the lead. Read FS Private Wealth.